The Texas Freedom Network has a clear political bent. Their logo on their webpage announces, "A mainstream voice to counter the religious right." Nevertheless, there seems no reason to think that their transcript of Don McLeroy's talk is at all suspect, particularly as there's also an audio file of Mr. McLeroy speaking. 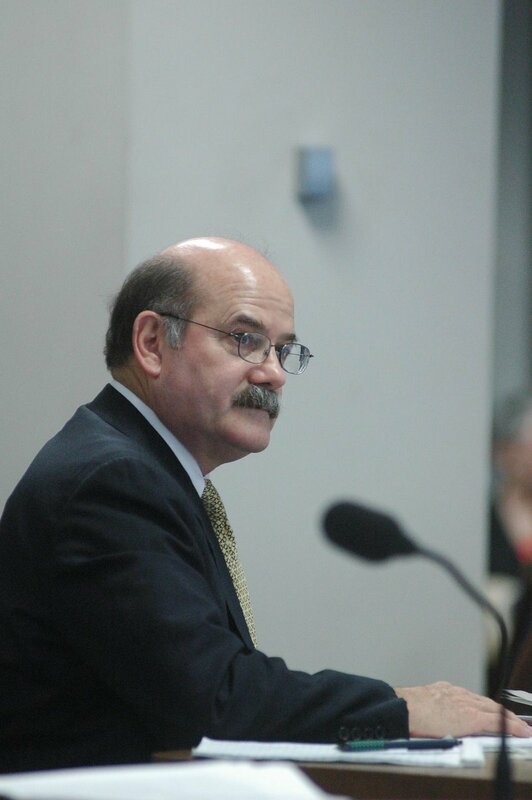 Don McLeroy is the chair of the Texas State Board of Education, an agency that has supervisory ties to the Texas Education Agency, which is under scrutiny for its treatment of Chris Comer. Why is intelligent design the big tent? It’s because we’re all lined up against the fact that naturalism, that nature is all there is. Whether you’re a progressive creationist, recent creationist, young earth, old earth, it’s all in the tent of intelligent design. And intelligent design here at Grace Bible Church actually is a smaller, uh, tent than you would have in the intelligent design movement as a whole. Because we are all Biblical literalists, we all believe the Bible to be inerrant, and it’s good to remember, though, that the entire intelligent design movement as a whole is a bigger tent. So because it’s a bigger tent, just don’t waste our time arguing with each other about some of the, all of the side issues. Perhaps McLeroy's views have changed in the last two years. After all, he probably said that before Judge John Jones emphatically ruled in the Kitzmiller v. Dover case that teaching intelligent design was illegal. Perhaps McLeroy's views have changed since 2005. But this seems unlikely. While there is no evidence I'm aware of that links McLeroy to Comer's situation, it speaks to the some of the ideas circulating among those in charge of K-12 education in Texas.